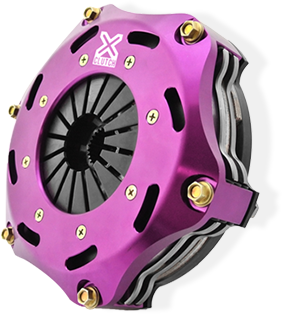 XClutch has recently won two Global Media Awards for new products at the SEMA Show 2018, held in Las Vegas. The awards, which are judged by a select group of top journalists from countries around the world, recognise products that offer excellent consumer appeal and are likely to succeed in the journalist’s home country. XClutch won an award for their new 2018 Ford Mustang 9" twin disc organic clutch and their Hyundai Veloster/i30 N 9.5" performance upgrade kit. Both of these kits have been designed for street use but are also available with ceramic friction material for motorsport applications. XClutch is currently exhibiting a wide range of products at the show and entered a total of four new products in the new product showcase including the Ford Mustang twin disc organic, Hyundai Veloster/i30 N 9.5" performance upgrade, a 7.25" twin sprung ceramic race clutch for the Honda Civic Type-R FK8 and a 9.5" upgrade clutch for the Honda Civic FC1 1.5L Turbo. These kits all offer the latest in performance clutch technology and offer excellent torque holding capacity for vehicles with performance modifications or for dedicated motorsport applications. For more information on the Global Media Awards or the XClutch product range, please contact us.